Those who have read my blog recently are aware of my enjoyment of Victorian age English magazines. One magazine in particular, Pearson's, has caught my interest. 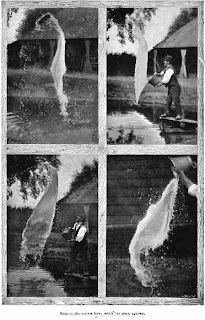 While researching bartitsu for an upcoming book, I found that a fascinating article on photographing "water casts." This is nothing more than taking a picture of a man throwing a bucket of water using a fast shutter speed. 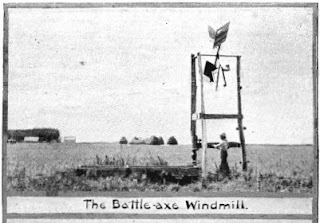 But the author, a Victorian/Edwardian age Englishman named Archie Williams has taken some great photos using the premiere photographic equipment available in 1901. Wrote Williams, "My attention was first drawn to the artistic possibilities latent in a bucketful of water by the manner in which a thatcher damped a pile of straw to make it tough and supple enought for his purpose. With a quick turn of the writst he projected a thin seminciruclar film which covered several square feet, glistening like the sun and suggesting many beautiful forms." I'm not sure my Nikon D-90 with all of it's metering and digital features could do much better than this Victorian photographer. Much time on my part has been spent in the sub-basement annex of the University of Minnesota library. That's where they keep the old, old, pre-1900 copies of magazines. I've been doing research on Bartitsu, a rare hybrid martial art, combining ju-jitsu and boxing and was developed by a Victorian Brit named E. W. Barton Wright. Down there in the stacks, among the crumbling pages, are some of the most interesting reading I've come across. These magazines are so interesting, I could spend hours (and I have) reading through them when I should be doing something else. Some days, I can't get enough of those crumbling magazines from America and Britain printed in about 1900. Subject matter? It's all over the board: self defense articles, the habits or African and Asian animals, many, many article on prison life for some reason (and it sounds awful!) and a fair amount on travel to exotic places which back then were actually quite exotic and hard to get to, making magazine accounts about the only way for the average person to get to Asia or Africa. 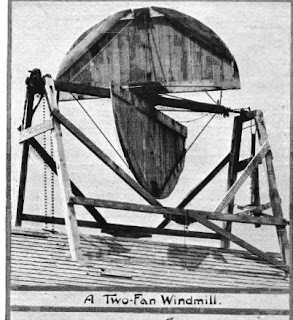 I came across an account of "Windmills of America." 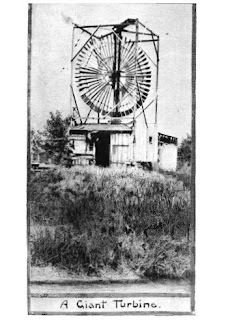 It's interesting to see the home-made designs of windmills made by frontier and homesteading farmers out of the materials available to them. Some of these designs are incredibly complex and they certainly show an ability to design and fabricate mechanisms with I imagine, only rudimentary tools. Are they efficient? Well, that might be another story. But here they are, rickety looking and wonderful. 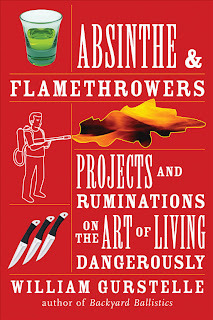 Hot off the press: Here's the cover of my new book, Absinthe and Flamethrowers which will come out in June, 2009. The bold red cover and interesting artistic lettering will make it standout among other books on the bookstore shelves. Drop me a line using the form on www.williamgurstelle.com if you're interested in being notified when it's on sale. Make Magazine issue 16, with the cool Spy vs Spy cover, features my how-to article on how to make a pole mounted camera (aka Mast Aerial Photography) by using hobby servo motors and a standard painter's extension pole. This project isn't terribly hard, requiring only about a half day or so to complete, not including getting the materials. Pole aerial photography is fun and practical and provides a way to get incredible aerial photographs without ever leaving terra firma. We liked this project so much that we decided to show how to make in one of the initial episodes of Make:Television, the nationally televised program coming to public television in January 2009. The first atomic bombs, of the Hiroshima and Nagasaki variety, worked by basically crashing one piece of highly enriched uranium into another piece in order to start a chain reaction. 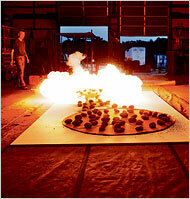 To do that, I read that US government scientists built specially shaped blocks of explosive. The explosives were cut into precise hexagon and pentagon shapes. When detonated, the uranium went exactly where it was supposed to go, and ka-boom! But, it's much harder to do than it sounds because of the difficulty in shaping High Explosive charges precisely. I don't think the world needs easier ways to cast high explosives into precise shapes, but the scientists at Los Alamos just announced precisely that: an easy to use, low melting point high explosive that can easily cast into precise shapes. ScienceDaily (Oct. 14, 2008) — Since the discovery of nitroglycerin in 1846, the nitrate ester group of compounds has been known for its explosive properties. A whole series of other nitrate esters have been subsequently put to use as explosives and fuels. A research team led by David E. Chavez at Los Alamos National Laboratory (USA) has now developed a novel tetranitrate ester. The compound has a particularly interesting characteristic profile: it is solid at room temperature, is a highly powerful explosive, and can be melt-cast into the desired shape. If you're looking for gift ideas with high energy appeal, the list below may be just the ticket. I think almost every garage tinkerer desperately wants at least some of these items, whether they know it now or not. 1. Interested in pyrotechnics? There are many fine books available, and some not so fine ones. If you're interested in learning how to make fountains, rockets, roman candles, shells, etc, there are two I've found to be excellent. The first is Introductory Practical Pyrotechnics by Tom Perigrin. I bought it from American Fireworks News (http://www.fireworksnews.com/) . It's not inexpensive, but it's clear and fairly well written. The second is the Dictionary and Manual of Fireworks by George Washington Weingart. It's a much older book and doesn't provide step by step instructions like Perigrins book, but it's a fine supplement to it. 2. 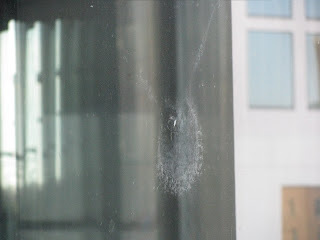 When I wrote my first book, Backyard Ballistics, I wasn't sure anybody would like it. I'm pleased to say that people do enjoy it. Over 200,000 copies sold and still going strong! Spud guns, dry cleaner bag balloons, and carbide cannons and such are what makes Makers great. Check it out. 5. Any electronic project requires soldering. Soldering isn't hard (well, too hard) if you have the right tools. This means a good iron and a great work holder. The best work holder I've found is made by Panavise. Panavise's standard #301 vise coupled with the #312 base mount/part tray, and the #315 circuit board holder is the ticket. Simple to use, it allows pieces to be positioned comfortably and securely. It's what serious electronics people use. Thanks to John Edgar Park at Make TV for turning me on to this. 6. I think my book Whoosh Boom Splat is way cool. Plans include a tee-shirt cannon, a steam cannon, and a nifty clothespin shooter that shoots lighted matches. Of course, I may be biased. 8. Anybody who makes anything should know about Make Magazine. (I'm a contributing editor there.) Four gigantic issues a year, each chocked full of information on how to make the greatest stuff in the world. See more at http://www.makezine.com/ and if you agree, go ahead and subscribe. Sad but true, the health care system in the US does not work well. One must be a vigilant consumer of health care services. Later this month, I'm going to the coast of French Guiana. Circumstances dictate that I am required to get a yellow fever vaccination. According to the US Government's CDC website, there is a "low incidence of yellow fever in South America, generally a few hundred reported cases per year." Strange it may seem but I need to get a yellow fever shot in order to spend a less than a day on a continent of 371,000,000 inhabitants which reports perhaps 400 yellow fever cases per year. It seems to me that I have a much better chance of being struck by lightning, coming under pirate attack or dying by getting hit on the head by a falling coconut. But rules are rules, so a yellow fever shot I must get. I have very high deductible health insurance and since I've managed being run over by a truck so far this year, I must bear the full cost of vaccination. I called my doctor who told me that I must go to a clinic that specializes in "travel medicine" since my doctor, (who is a fine physician,) doesn't handle tropical infectious diseases. Fine, I'll call around. 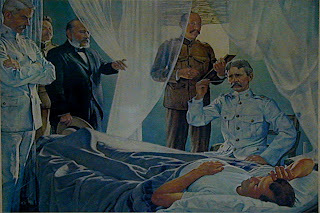 Travel Medicine Clinic A: $120 for the shot, plus $250 for a "consultation." I simply cannot imagine the need for a consultation about something like this. It seems absurd. Travel Medicine Clinic B: $275 for the shot and a 15 minute consultation with "travel clinic" doctor. 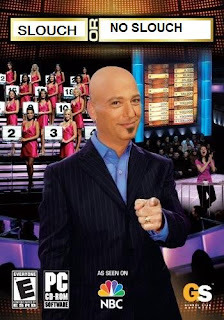 I finally found that the city of St. Paul public health department has a nurse that will vaccinate me if I bring in a doctor's prescription and give them $100 cash money. Much better, but I have better uses for $100. "Travel Medicine clinics" sound like a blatant marketing ploy, another example of a desperate and broken health care system. Labels: yellow fever vacine "travel medicine"
I've got an upcoming article in Make Magazine about Speed Week, a gathering of fast cars and faster drivers that happens once a year on the salt flats on the Nevada - Utah border. The salt is smooth and goes on for miles. It a perfect place to see how fast your car can really go. The vehicles (cars and motor cycles) there don't race against each other and not against the clock either. They are simply trying see how fast they can go. And they do go fast. What's most interesting to me is the incredible amounts of horsepower, and therefore speed that these guys get out of their cars. There are vehicles with 2-liter engines that go over 200 mph. How do they do that? 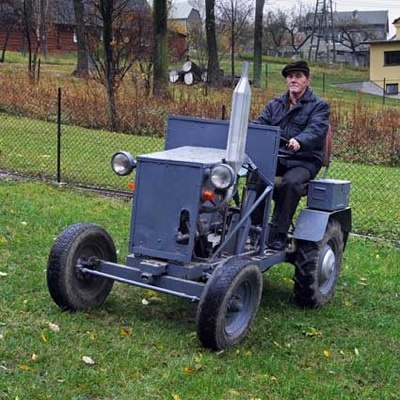 By using fuels that have more energy in them than gasoline or diesel, boosting the pressure of the intake air with a blower, optimizing the engine tuning for speed (at the expense of say, gas mileage,) and streamlining the car body. I spoke at length with Gary Calvert, a member of the Muckleshoot Indian tribe from Washington State. Really a knowledgeable guy -- he built his vehicle from the wheels up, taking a wing mounted fuel tank from a military airplane (it's large and aerodynamic) adding a Japanese car's V6 and turning it into a really (really) fast car. It burns fuel (nitromethane) and has an enormous turbo charger that radically increases the amount of air going into the pistons which does good things for horsepower. This car, called a belly tanker, screams across the salt flats. I sat in it for a while to get the feeling of driving a vehicle like that. I'd sure like to build one myself. 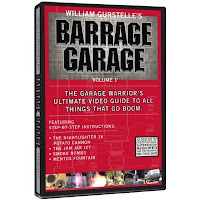 THE GARAGE WARRIOR’S ULTIMATE VIDEO GUIDE TO ALL THINGS THAT GO BOOM is available for purchase. 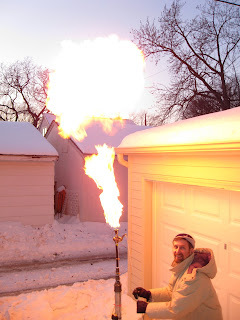 The Garage Barrage video contains four of my favorite scientific projects. They may be a bit edgy, but I believe they're safe (follow the directions and use your common sense.) Of course, you never really know do you? But if you are like me, you understand that a bit (just a bit) of danger and excitement is the salt and cayenne pepper in the stew of life. They make things interesting. Of course, if you use too much, they ruin it. so, it's a balance. And this video is all about projects that fit into a good b alance -- danger, excitement, science, fun. The video was a collaboration between me and a group of professional video producers and writers. I really like it, and I hope you do too. The projects include making smoke bombs (go here to see the entire project for free! 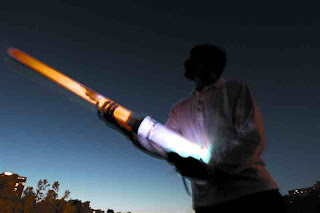 ), the Night Lighter 36 Taser-Powered Potato Cannon, a small jet engine (a jam jar jet), and the world famous Mentos Fountain. We've put our own twist on all of these projects to make them easy to do and spectacular to watch. 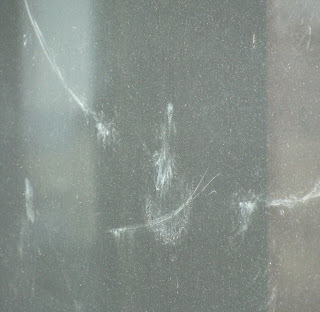 Ghost Pigeons - the last enduring testament of a bird's life and premature death. 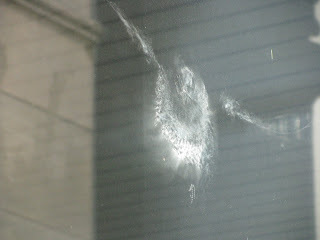 Recently, I've become aware of what I call "ghost pigeons, " the imprint a pigeon makes on a glass window of a building when it unwittingly flies into it. They are spooky and depressing and kind of pretty all at the same time. Now that I'm aware of them, I see them all the time when I look out of the windows in downtown office buildings. If you have any ghost pigeon pix, please post. Too often, when we talk about siege engines - catapults, trebuchets, ballistae, and so forth - we focus on European technology. But it's in the far east where the story begins, at least for gravity powered siege weaponry. I recently purchased Chinese Siege Warfare, Mechanical Artillery & Siege Weapons of Antiquity by Liang Jieming. A somewhat difficult book to get a hold of (not available on Amazon as far as I can tell), this 150 page book did much to plug gaps in my knowledge. Although much of the book deals with Chinese pre-gunpowder siege weaponry, there are smaller sections on western designs and some early gunpowder devices. 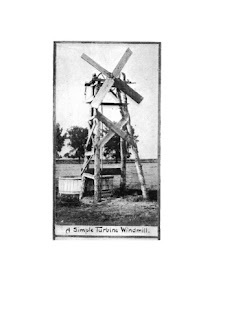 Incredibly, much of the book has been placed on the web for free, and this book an is absolutely wonderful resource for students of siege engines and model makers. The book is well illustrated, using a combination of line drawings from old texts and colored pictures of the author's recreations of many of the machines discussed in the text. I noticed that Liang uses rope lashing to connect the wooden members of his machines, which is something I discussed in the Viking Catapult chapter of my book The Art of the Catapult. I've often suspected that the ancient builders, world over, made extensive use of lashed joints as they are strong, rigid, and relatively easy to master. Overall, a good book filled with hard to find information. I recommend it. Too Much Clutter in America's Nuclear Attic? WASHINGTON — The U.S. military mistakenly shipped four nuclear-missile detonators to Taiwan in 2006, then failed to detect the error for more than a year, the Pentagon announced Tuesday. Pentagon officials said they didn't know how the detonators had been sent when Taiwan had ordered helicopter batteries or who was responsible. 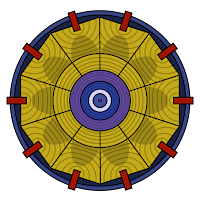 Michael Wynne, the secretary of the Air Force, said the cone-shaped fuses didn't resemble the power batteries that Taiwan had requested. Wynne said that the misdirected detonators, used to ignite the trigger of a Mark-12 nuclear weapon, didn't pose a security threat. The triggers couldn't be used to detonate other weapons, officials said. That's strange. Did someone at the airbase from which they were shipped, look at a packing list that said "helicopter battery" and accidentally pack 4 nuclear bomb triggers? I imagine they have a label on the box that reads "WARNING! NUCLEAR BOMB TRIGGER INSIDE. DO NOT USE HOOKS" or something like that. Still I guess mistakes happen. But here's what I really don't understand. The triggers were for Mark -12 nuclear weapons. The Mark 12, nicknamed "Brock" by those who have pet names for atomic bombs, hasn't been part of the nuclear arsenal since 1962. These things have been outdated for 46 years. I think (this is no joke) that a Mark-12 trigger uses vacuum tubes. No doubt there are still a thousand crates of horse liniment for the cavalry or a million sticks of slowmatch for flintlock rifles piled next to the Mark-12 triggers as well. In this month's Wired Magazine, number 16-04 (I have absolutely no idea what Wired's magazine numbering scheme means) there is an article on the rivalry between gadget blogs Engadget and Gizmodo. In it there's a anecdote about one of the blogger's taking a device called a TV-B-Gone to the Consumer Electronics Show in Las Vegas and wrecking havoc on the many, many TV's there. A TV-B-Gone is a small battery operated device invented by Mitch Altman who I met a number of times at various Make Magazine events. Push the button on a TV B Gone and every TV in the area turns off. Kinda cool. More power to ya, Mitch. There's too much tv and other noise in the world. Why do restaurants, noisy enough anyway, feel they have to pump in extra music, enough to make conversation with more than one other person impossible? Why do supermarkets and Home Depots feel that I can't shop unless there's music constantly playing. There's music, usually bad music cluttering up nearly every lobby, waiting area, and vestibule in existence. Note to world: I do love music but I do not need to be bathed in it every second of the day or in every public place I go. I don't think it makes the world a more pleasant place. Please, turn it off. Mitch: Please invent a Music - B - Muted device. I will buy several. Thanks. Make 13, themed around the concept of magic is on the newsstands! It's another excellent issue and includes a PVC air cannon modification (by a different author) that is pretty interesting. It's called the boom-stick and is designed to maximize the noise. I wrote three articles for this issue. The first is describes the DARPA urban challenge and the uber-makers that attended. While most of the competitors were big money corporate and academic types, there were a few entrants that really exemplified the ardent amatuer, and the skillful maker. The second was the Maker Calendar and lists upcoming events of interest to those who make things. The third article is about my foray into the world of gunpowder manufacture. I've received some great feedback from readers already -- it's something that a lot of people find interesting. In this article, I describe what I did to make home made black powder. I don't go into step by step directions for making the powder, but there is a good explanation of how to prepare your charcoal which is the really critical step in making the stuff. Everything else is less important. Visit makezine.com or better yet, subscribe via the link below. TIP: if you select Make's autorenew option, you get digital access to the entire library, back to Make Vol 1! The AP published a story, available here, exploring the growing number of people who are building and making things in their garages and basements. It's an article worth reading, for several reasons. First, it provides several good examples of the type of projects peope are are undertaking. Second, it lists severa websites and magazines that provide ideas and inspirations for many interesting and instructional projects. "William Gurstelle is no slouch." Each week a person who believes they are pretty good at doing one particular thing, does something they haven't tried before and get judged on how well they do it. For instance, a football player learns ballet, a scientist makes beer, a beekeeper trains a dog. Then at the end, the judges evaluate the outcome and declare the contestant a slouch or no slouch. There is an interesting article in today's New York Times about Cai Guo-Qiang, a New York based Chinese artist who uses gunpowder as an artistic medium. He is very successful, having won numerous awards and selling his paintings at auction for millions of dollars. You can see how he makes his art by viewing the video here. 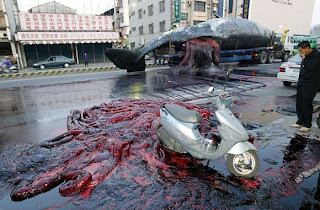 Like the work of some other modern visual artists, the symbolism and meaning that makes it so valuable is lost on me. 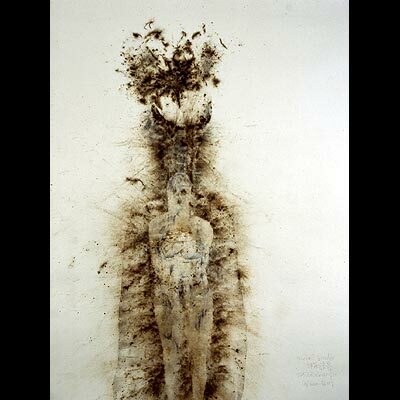 Like a work by Jackson Pollock, Cai's work is interesting but .... To me, using gunpowder to create an artistic vision is a fascinating idea. But is it anything more than simply clever? In this post, I discuss Catapults, Ballistas, Trebuchets and the Triggers, Releases, and Latches that operate them. 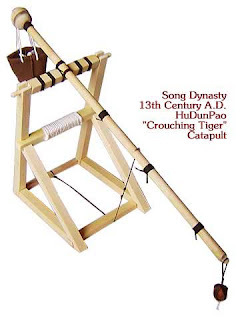 I receive quite a few inquiries about making catapults and trebuchets. And among the most frequent questions is: how do I build the trigger? It's an important question. Catapults are fun and educational to build and operate. They would make a very good entry in a science fair or science contest. For ideas on catapult related science fair projects, check out "The Art of the Catapult" and "Backyard Ballistics," available at book stores everywhere. (Click on the Amazon link to the books above for more info) Believe me, there is plenty of physics and math behind the machine for cerebral types. 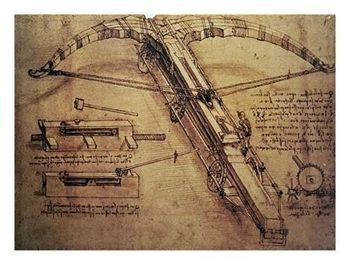 When building a catapult, trebuchet, ballista, mangonel, or any of the hundred names by which such hurling machines are known, you'll find out that the mechanism that releases the throwing arm is often the most complicated part of the machine. You may build your own release, which is tricky because you need to design the latch so that it will release reliably under full load. Actually, you can get pretty creative about triggers. But considering how cheap and easy it is to buy one, it might make more sense to use one of the commercial solutions below, and spend your time working on the other aspects of the machine.I've spent time researching the best triggers and releases for small catapults. 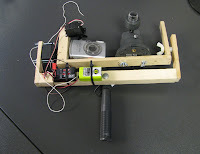 You can follow the links below to obtain high quality, inexpensive catapult release trigger mechanisms that should work well for most small experimental catapults. There are three good, off-the-shelf solutions: The archer's arrow release, the sailor's pelican hook, and the horse trainer's panic snap. This is the premier solution. Works dependably, quickly and very smoothly. It costs a bit more, but of all the catapult releases I've tried, I like this one the best. This is another excellent hurling machine trigger. Its normal use is in sailing, where it is used to securely hold and release lines and ropes. Basically a pelican hook is a hinged hook that can be quickly secured or released by a sliding ring. It is quite a bit less expensive than an arrow release, but it holds securely under load. The downside is that they can be awkward to release sometimes. 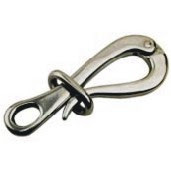 A panic snap is a mechanism often used between a lead and a horse's harness. They are decent catapult triggers because they can be disconnected under load. A panic snap is specially built so that the latching mechanism is separate from the load bearing structure. Just pull back on the latch and the load releases. Very inexpensive, but not as smooth or dependable as the arrow release. I am going to attempt to monitor several of the most active DIY science and technology sites for the next several weeks to get an understanding on which sites provide the best ideas for projects. Some of them post new stuff constantly, but the projects are mostly "unfiltered". Some, like the Make blog have so much good stuff, it's an overwhelming task to sort the interesting from the pedestrian projects. So what I want to do is pick and choose and post about the few that regularly have excellent, doable projects. 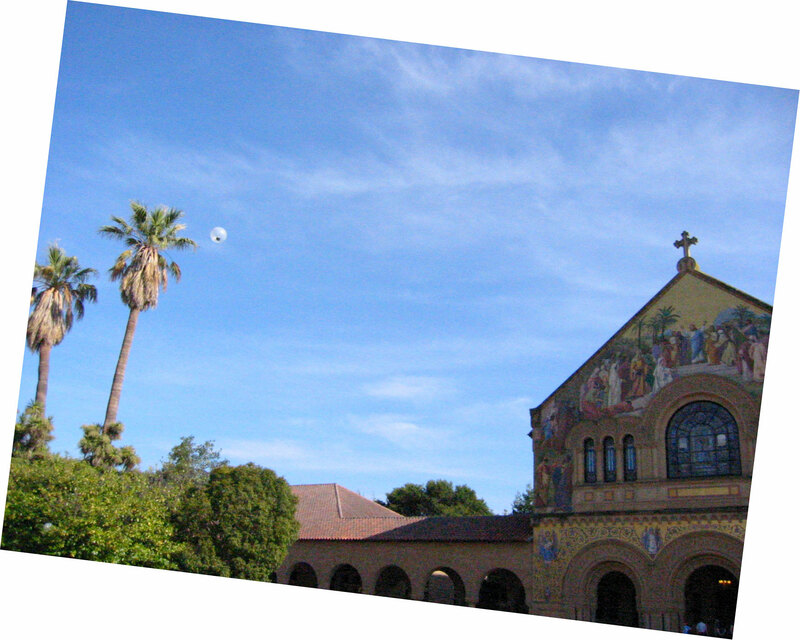 On the Hacked Gadgets blog, there's a project that uses balloons to take pictures from the sky. It's very reminiscent of the Kite Cam found in Make Magazine issue #1. Video of the red balloon project is available here. Separate but related information on making balloon mounted cameras is available here. On Etsy's site, my friend Bre Pettis (he of imakethings.com) returns to the video world with a short video on how he's making his new business cards. It's not really a science or technology project, but it's good to see he's back. On Street Use, Kevin Kelly shows just how far people can go, using the materials around them to meet their mechanical needs. I like this because I've done some research on the abilities of Aborigines, Cubans, and Eastern Europeans to scrounge parts and keep things moving out of baling wire, hose clamps, and bungie cords. 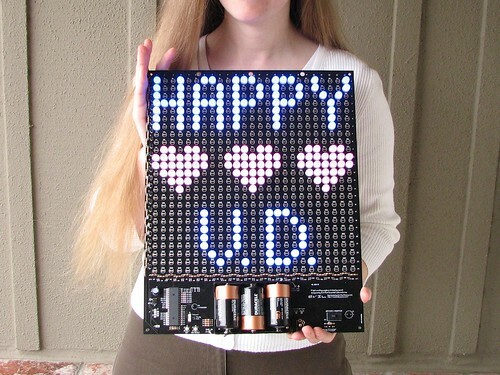 On Windell Oskay's Evil Mad Scientist laboratories, there's a very good post about making a pegboard LED display that makes it simple to paint with LEDs, maybe not as simple as light-brites, but sorta simple. By the way, the VD in the "Happy V.D." picture refers to Valentines Day. 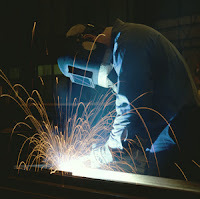 If you know of good DIY science and technology blogs that at least occasionally post good projects, please let me know. This is excerpted from my recent article in Make Magazine. Is there a problem with the way science is taught? Are schools overprotective? What do experiences like these mean for science education? When my son Andy was 12 years old, he entered his junior high school science fair. His challenge was to invent something new and useful. To Andy, the science contest was big deal. There was a great deal of schoolyard prestige attached to the event. He badly wanted to win, but inventing is hard work. Inventing something useful is even harder. And inventing something new and useful when you’re 12 is really, really hard. He thought about it for a while and, after various aborted attempts and blind alleys, came up with the idea of a self-buttering toaster. What a brilliant idea from such a young person! (I readily admit my fatherly bias.) 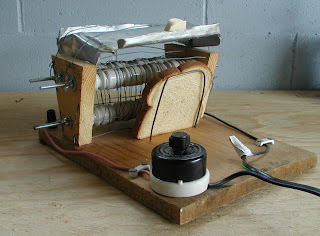 The device Andy designed was intricate yet simple: a wood and steel construction that held a slice of bread at an angle in front of a carefully wound matrix of nichrome wire heating elements. While the bread toasted, the heat from the wires melted a glop of butter on a perforated metal holder positioned over the bread. The butter dripped through the holes and on to the toasting bread. Voila! There was a slice of automatically buttered toast. By my lights, this was a pretty terrific invention for a sixth grader. The evening of the fair approached, and Andy and I looked forward with anticipation and excitement to a night of glory. The judges, a collection of teachers and parent volunteers, methodically walked up and down each aisle. They asked questions, measured things with rulers, made notes on clipboards, and generally maintained a judgelike demeanor. When the judges came to Andy’s table, the toaster worked perfectly. With self-assurance and a smile, he handed each judge a slice of warm, buttery Wonder Bread for a snack. “Of course it does. It’s a toaster,” he protested. “It’s supposed to get hot and use electricity. If it didn’t, it wouldn’t be a toaster.” Unswayed by logic, the judges would not reconsider. So who won? First place went to a girl who made a cap and vest for her hamster. Second place went to a boy who “made” radar. <--- Bart Simpson science project: Can Hamster Fly Planes? Andy graduated from college last year with a major in archeology and a minor in African languages. Is his technology-light choice of major a result of his science contest experience? Perhaps not, but I sometimes wonder how losing to a hamster hat influenced his future. Two of my good friends have their own blogs which I find very enjoyable. So I was certainly pleased to find that these two have decided to collaborate to form a digital media conglomerate. It's called Dinosaurs and Robots. To be honest, I can't figure out where Make Magazine cover boys Mark Frauenfelder (of BoingBoing) and Mr. Jalopy (of HooptyRides) find time to turn out such a good looking magazine. I guess they figured that since they were both on the cover of Make Magazine, it was time to move on to something bigger. Reminds me of when Wayne Rogers left MASH and Patrick Duffy decided he was too big for Dallas. The new magazine is currently available as a downloaded pdf, but I understand plans are underway for a website. I checked it out and loved the articles but it's the photos that really clicked with me. There's a recurring theme dealing with the intrinsic beauty or at least pleasing geometry of tools and metal objects. Visit hooptyrides.com and read the blog for more info. This post is about the air whistle, (similar to a steam whistle) I designed and wrote about in the last Make Magazine. There are several good articles in Make Magazine #12, the latest issue. I’ve contributed three, including a major project called the Super TriTone Shop Whistle. 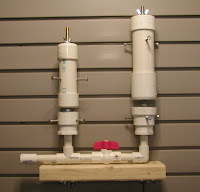 I’ve written and photographed step-by-step directions showing how to make a really neat whistle from PVC pipe and fittings. If you don’t subscribe to Make Magazine, try to locate a copy. You can subscribe online to this wonderful magazine here. If you sign up using their autorenew feature (no big deal, you can always cancel) you will get online access to all of Make’s voluminous archives of projects including this one. That's a good deal, believe me. There's a lot in there. The Super Tritone is easy enough to make, see the Make Magazine article for details. But be forewarned -- it takes a while to adjust. There are a number of critical dimensions and if any of them are off, the whistle doesn’t sound, it mostly just hisses. However, adjusting the Super Tritone isn’t that hard, mostly consisting of turning the adjusting nuts on the main shaft, thereby making the whistle throat larger or smaller. At some critical dimension, it will provide a loud shrill tritone. If you’re still having trouble, first make sure there are no leaks where holes have been machined through the PVC. Those leaks are sound killers so all holes and joints MUST be air tight. Next, look at the alignment of the bells (the larger PVC pipe with the edge filed into the bottom) with the opening through which the air passes. The air opening is an annular slit, formed by the PVC bowl and a slightly smaller plastic disk called the languid. The placement of the languid is critical. 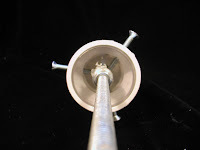 In connection with that, you’ll need to turn the horizontal adjusting screws on the bell and the bowl to make sure the air escaping the languid goes straight up into the edge on the bottom of the bell. Finally, use enough air pressure. You’ll likely need 50 psi on up to get a really good sound. Whistle physics is tricky and therefore, so is making your own whistle. But with enough adjustment and experimentation, your whistle will sound great. Be sure to read read all disclaimers and warnings in the magazine before you start. 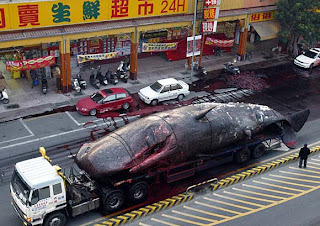 Exploding dump trucks and exploding whales... what could be better than that? Here's a story that received a fair amount of attention in the local (Minneapolis, MN, USA) press. It concerns one Brian Childs, a 30 year old man who lives in rural Welch township south and east of Minneapolis, MN. From what I can surmise from news reports, the guy obtained 100 pounds of a compound called Tannerite which is an explosive that you mix up on site from two non-explosive chemicals. According to wikipedia, the ingredients are ammonium nitrate and ammonium perchlorate with a bit of aluminum powder and zirconium hydride to get things cookin'. Typically, tannerite is detonated by shooting it. Basically, you take your long range rifle and put a bullet through the bottle holding the mixed up ingredients. Kaboom! Mr. Childs appears to be in a lot of trouble because the explosion he made was large enough to trigger alarms at a nuclear power plant several miles away. The police were called and locked him up, I suppose because they thought he might be a terrorist. Bill Gurstelle's comment: I'm not sure how I feel about this. As one who loves to watch high energy, high velocity examples of science and chemistry, I must say it's a pretty darn good explosion. On the other hand, firework makers and more serious thinkers may likely disagree. I wonder can't tell if he put his neighbors and friends in harm's way. But assuming that the exploded dump truck was sited in such in way to as to pose no danger, than I'd have to say it's nobody's business but his own. Just because some alarm went off doesn't make him a criminal.